Nick Hornby again shows that he is head and shoulders above most of the crowd of British novelists with his latest work, How to Be Good. Thats not to say it is a great novel, but it is funny, moving, gripping, and thought-provoking, which is certainly enough to be going on with. The novel takes a standard ethical problem and makes it the central theme of the problem. Among current ethicists, the most widely read argument for the disruption of ordinary life to help the needy is by Peter Singer, currently at Princeton University. Singer, in his article Famine, Affluence, and Morality, argues that people in the West have a moral obligation to make serious sacrifices to help people in need of help to save their lives, whether those people are on the other side of the world or outside ones front door. Katie and David live in London with their two children. She is a doctor and he is a writer. Katie thinks of herself as a good person, and takes pride in her profession. But David has taken on the role of Angriest Man in Holloway, and writes a column for their local newspaper expressing his anger at the rest of the world, especially at people like his wife who preach liberal values yet never do anything significant to translate those values into practice. David rails against the hypocrisy and self-deception of the rest of the world, although he himself earns hardly any money, and is dependent on Katie to pay for the weekly shopping bills. Katie is understandably frustrated and alienated from her husband, and has started an affair, but she is having some trouble maintaining her self-image as a good person. But Katies troubles are only just starting, because David undergoes a transforming experience at the hands of a local guru who calls himself GoodNews. David loses all his anger, and becomes utterly focused on the need to make the world a better place. He still does not get a real job, but he does start telling people on his street that they should take in homeless youth to live in their houses; he also insists that he and Katie take in a young homeless person, in addition to having GoodNews living in their spare room. Its not long before Katie moves out, unable to contain her anger at David. The twist is that Katie finds it very difficult to justify her anger, because she thinks that in principle David might be right, and she concedes that he probably has helped the world through his actions. Yet at the same time, she finds herself inconvenienced and annoyed by Davids sanctimonious attitudes. Davids transformation also causes bitter disputes with and between their two children, Tom and Molly. 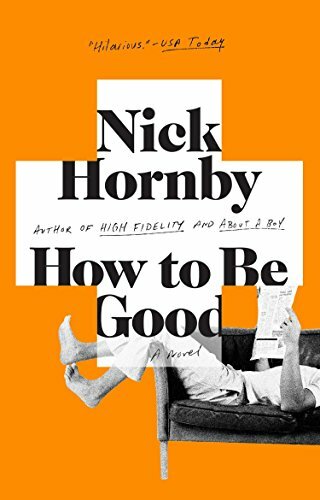 The greatest strength of How to Be Good is Hornbys ability to capture family tension and the way that people will take positions simply in order to annoy other people in the family. He captures both the anger and the humor that fills so much of family life. Its no surprise that modern family life is to a large extent incompatible with a persistent and thoughtful concern for the needs of the rest of the world, but it is interesting to see the kinds of tensions and problems that it causes to the family when David makes it his lifes work to save the world. It is Katie who tells their story, and so we get her view of Davids eccentricities. She is a quirky and honest narrator, willing to confess all her faults, and easy for the reader to identify with. Although the number of people who are sympathetic to Davids transformation may be small; when I discussed Peter Singers article on the duties of people in the prosperous world to help others with students in my class, they were nearly unanimous in expressing their beliefs that we only have duties to their families, and that we have no obligations to anyone else. If my students are representative of the rest of the United States, then few people here will sympathize with the liberal dilemma that forms the crux of this story. But ultimately its not the difficulty of living with do-gooders that holds ones interest, but rather the focus on the difficulty of holding a marriage together over the years. Hornby is surprisingly bleak on this topic  he takes it for granted that boredom and hostility will creep into any long-term relationship, and asks what reason there can be for staying in a marriage. In the end, it seems he is unsure whether theres any good answer to his own question. To read Hornby in a rather literal way, one comes to the conclusion that not only is it impossible to be a good citizen of the world, but its not even possible to be a good spouse. But he is still enough of a liberal, despite the near impossibility of success, that he still thinks that we should make the attempt.